Shaking off the lingering effects of a virus, John Millman joins Alex De Minaur and Jordan Thompson in the last eight in Sydney thanks to victory over Marton Fucsovics. 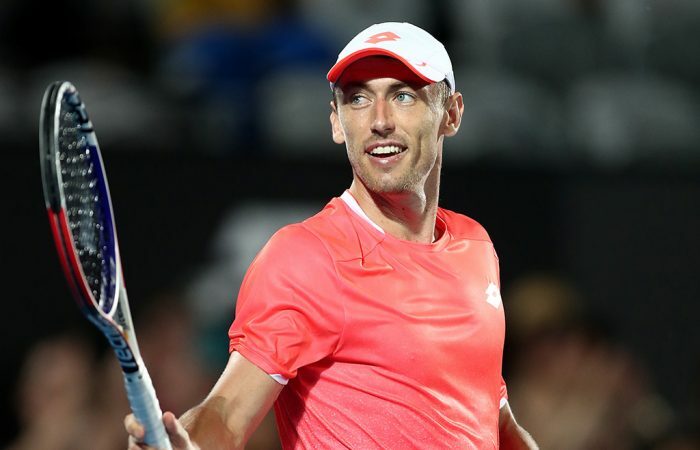 John Millman is the third Australian man through to Sydney International quarterfinals after defeating Marton Fucsovics in straight sets on Wednesday. 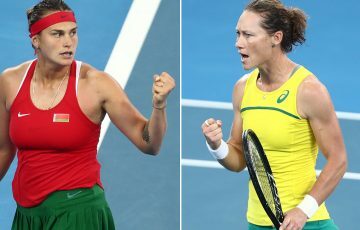 Millman was in control from the outset on Ken Rosewall Arena, winning five of the opening six games and eventually prevailing 6-3 6-4 in just one hour and 15 minutes. 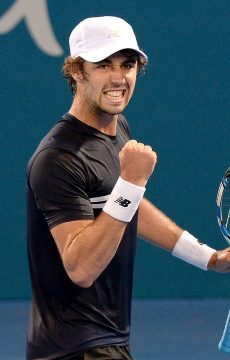 The Australian No.3 joins countrymen Alex De Minaur and Jordan Thompson in the final eight, where he will take on either Sam Querrey or Gilles Simon. 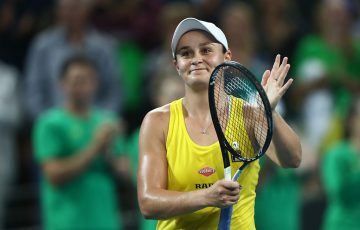 Ash Barty is through to the women’s quarterfinals after stunning world No.1 Simona Halep earlier on Wednesday. A solid victory for John Millman who advances to the quarter finals. “I’m still not 100 per cent but I was really happy with how I came out here today. I tried to back myself and for the majority I thought I played some really good tennis,” Millman said. 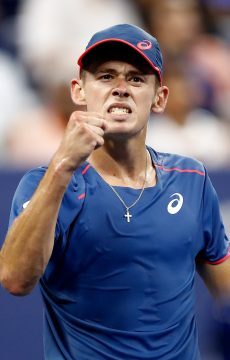 It is the first time Millman has reached the quarterfinals in five attempts in Sydney and, should he win that match, he’ll face either De Minaur or Thompson for a spot in the final. 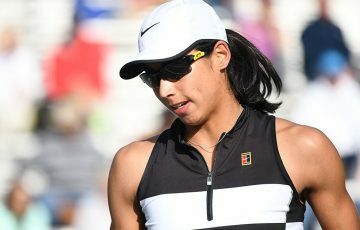 The victory comes a day after outlasting American Frances Tiafoe in three sets, when he battled through a virus.